OMAHA, Neb. — Westside Community Schools is deciding who will be the next superintendent after the candidates completed a final round of interviews Thursday night. Students, staff and parents were part of the meetings with the candidates. 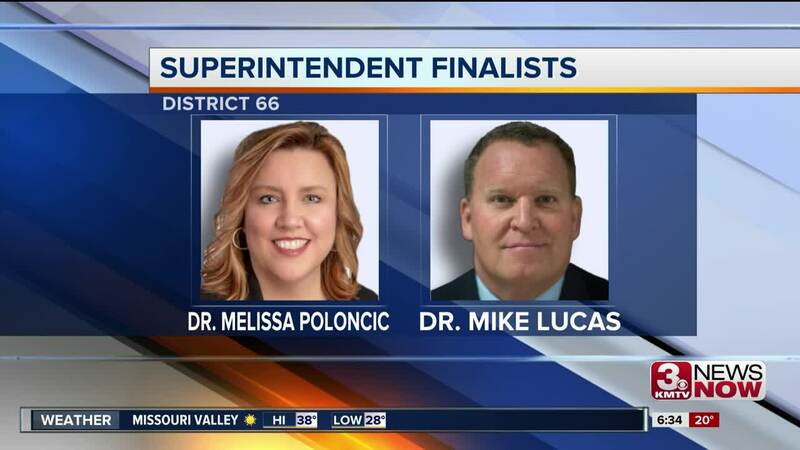 The two finalists are Dr. Mike Lucas, who's the superintendent of York Public Schools and Dr. Melissa Poloncic, the current superintendent of Douglas County West Community Schools. "That's what I've spent my life doing is being an educator and I really enjoy working with other people to develop plans that we can impact and change and make things happen and grow together," Poloncic said. "Westside is known as a district of firsts, it's a leader of leaders, whether you're going back to first laptop initiative for special edu programs all day kindergarten those types of things so it would be a great opportunity to come in," Lucas said. The school board will announce the new superintendent on Monday. The district's new leader will take over for Superintendent Dr. Blane McCann who's retiring after the school year.